Sylvie Mason has always been the good daughter compared to her sister, Rose. Sylvie and Rose's parents have given the girls an interesting life- to say the least. Their parents made a living by helping people who are haunted, they often took objects or even people into their home. Sylvie and Rose's life changes drastically after Penny, a doll and Abigail, a troubled girl come into their lives. After their parents take these cases, their parents are killed. Rose is left as Sylvie's guardian and 14 year-old Sylvie is the only witness to her parent's deaths. As Sylvie tries to recollect what happened that night, she recounts her strange life in order to figure out who or what actually killed her parents. ​Griffin Rinaldin is a thirteen year old boy that is dealing with a lot of crap. His abusive father recently died and now Griffin has been diagnosed with Depersonalization disorder, where Griffin feels like he is outside of his body and looking at himself from someone else's point of view. Griffin's sources of comfort in his life are his cousin Tanner, whose father is also abusive as well as his Grandfather Soren. Soren tells Griffin stories of a mysterious young man with red hair taking revenge on abusers. The stories are meant to help Griffin with coping strategies, but the red haired boy begins to take form in Griffin's life and Griffin is seeing him more and more often along with his out of body experiences. 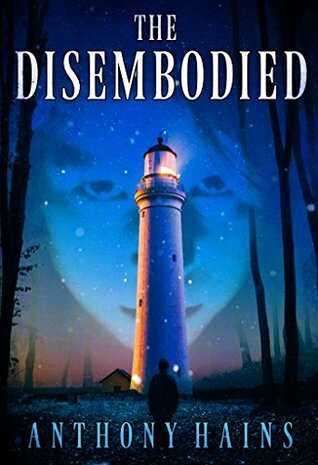 The Disembodied is a gripping psychological horror story that slowly pulls you in by weaving together different elements from both the natural and supernatural world. A unique narrator and well developed characters fascinated me and made the book difficult to put down. All of the characters felt very real; they made mistakes, they felt real emotions and tried their best to get through everything. 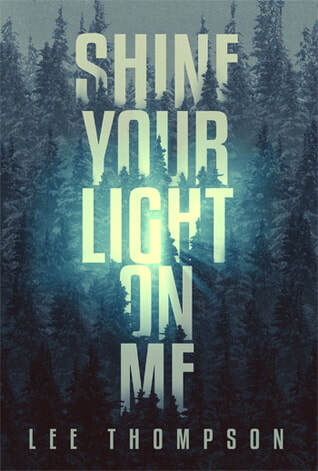 Perhaps the most terrifying thing about the book is that most of the horror elements are firmly rooted in the natural world: abuse, mental illness, and addiction are all prevalent throughout the story. My favorite parts however are the stories that Soren tells of the red-haired boy throughout history; these are great ghost stories that would stand on their own. Overall, a thrilling and powerful story of love that masterfully combines elements from the horror world. ​Dr. Anton Kronberg is England's leading bacteriologist. Dr. Kronberg is called in to investigate a case of a cholera victim floating in the city's water supply. While the fact that the victim died of cholera is pretty clear cut, the way the disease was received and how the body found its way into the water supply opens up to many more mysteries. When Sherlock Holmes is also brought into the case, Dr. Kronberg has even more to fear as Holmes quickly discovers Dr. Kronberg's secret that Anton is really Anna Kronberg. Holmes and Anna find a tenuous relationship as the case brings them into dangerous scenarios with devious men and treacherous plots. 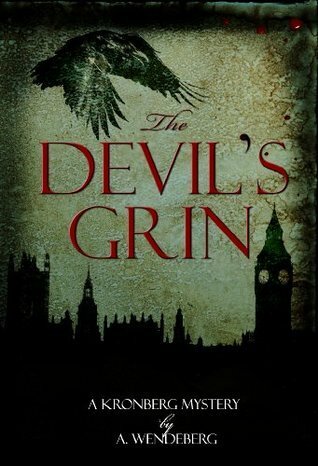 The Devil's Grin is an engaging Victorian Era mystery. Dr. Kronberg is a very interesting character. Her choice to live as a man in order to practice medicine is honorable, yet has many difficulties and bears the consequence of death if found out. Since she could legally practice medicine as a woman in other countries, this seems like a strange and dangerous predicament to place herself into. Other than that, I really enjoyed the sharp and witty writing, the mystery and the passion behind Anna's character. The mystery was a slow burn and grew on me with a series of well crafted layers that started with what seemed like a simple case but quickly grew into a large conspiracy that took Anna under cover. Another interesting aspect of the story was Sherlock's character, a tortured soul and amazing detective, yet very different from the classic Holmes character. Overall, an engaging historical thriller in Victorian London. Allison is the new girl in St. Augustine, she misses her friends in Virginia and hasn't had much luck in her new home except for swooning at the boy across the hall, Rodham. Allison's luck soon changes as noisy and strange neighbors move into the apartment complex; they party all night, aren't seen during the day and their arrival has sparked strange visions and a green glow that Rodham can't seem to resist. Rodham teams up with Allison to figure out just what these neighbors are up to. Together, Allison and Rodham open up a dangerous world that they have been fated to. As Slayers, they are two parts of a team that was created to destroy the Bloodseekers in a deadly game that has gone on for centuries. 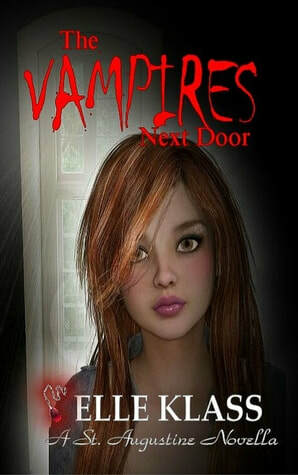 A well-crafted, intense paranormal romance with vampires that packs a lot into a short book. Allison was a very easy character to relate to and I enjoyed her coming into her own as she became confident in her relationship with Rodham and discovered her gifts as the Garnet Slayer. I enjoyed learning all of the elaborate details and history of the Witches of darkness and light, Bloodseekers and Slayers. I appreciated the creation story as it gave a purpose to all of the different beings. The constant action and discovery of new magic and beings kept the story quick-paced. With a shorter story, there were a lot of lucky coincidences that brought people together rather quickly; however I was still easily wrapped into the story and can't wait to meet more Slayers. Sixteen year old Mandy arrives home to find her mother on the brink of death-injured by something or someone very dangerous. Before Mandy's mother passes, she imparts some important but mysterious information to her. Mandy is then whisked off into a new and dangerous world by her upstairs neighbor, Joel. Very quickly, Mandy learns that her life is not what is seems. Mandy is a twin daughter of a dark witch and light witch as well as the next amethyst Slayer. The woman she thought was her mother, as well as Joel are really Werewolves who have been protecting her. Now, it is time that Mandy learn to harness her powers. The rest of the Slayers need Mandy in order to help rescue her twin, Veronica. 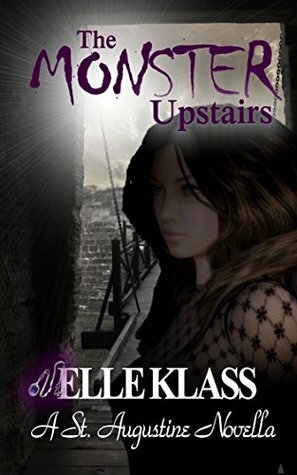 The Monster Upstairs picks up right where The Vampires Next Door leaves off and bounces between Mandy and Joel's story and Allison, Rodham, Lacy and Veronica's story. In The Monster Upstairs we get to meet even more supernatural creatures: werewolves, shifters and boggarts. Mandy's journey is a supernatural adventure that is action-packed from the start. I enjoyed learning about the light and dark witches, the werewolf pack and how they fit into everything. With Mandy's gifts, the Slayers are growing in strength, but not complete yet. It seems that Veronica has some tricks up her sleeve to help the others get to her and when Allison's friend Vicky visits, they might find another piece of their Slayer puzzle. 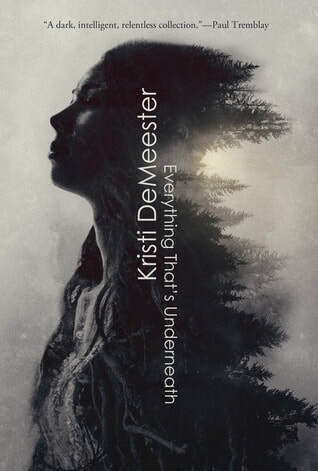 ​Everything That's Underneath is a short story collection that explores the ignored, dark spaces, and things we try to not see or remember. With this unifying theme, the stories ranged from horror, to grotesque to strangely unsettling. With all short story collections, there were some stories that I loved and some I could live without. With this collection, there were also some stories that were very similar, like the same darkness was affecting different people . Some of my favorite stories included The Dream Eater and Split Tongues. These stories were a little longer and really allowed me to get into them and wonder about the darkness and what it's intentions really are. In these stories I was also able to relate to the characters better and feel their interactions with the forces at play. Overall, an intriguing group of stories that explores themes of family, grief, sexuality and the draw of the unknown. High school is a place where many kids feel like they just don't fit in. That is definitely true for Brian and his friends, a collection of misfits who decided to skip a few classes they day of the school pep rally. 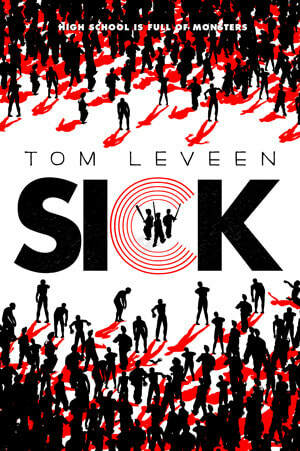 They get back to school just in time for stagecraft class, and for a deadly virus to take hold of their school. A strange sickness has rapidly spread, something that gives people a drawn, wasted look and develops crusty scales, oh- and it gives the infected person a taste for human bone. Ground zero is the pep rally, but the theatre building is farther away and able to be protected. It's too bad that Brian's sister and ex-girlfriend decided to go to the pep-rally, now Brian has to find a way to get the girls out of the zombie infested hallways as well as the stagecraft class. This is a very fast-paced young adult zombie outbreak story that does not skip on the gore and held me in suspense. Centered in a high school with high schoolers as the only uninfected people left, I was really interested to see how high school dynamics would go into play. Especially since this high school was overcrowded, had a lot of racial tension and general intolerance of anyone who is different. Luckily, this group of survivors is centered in the theatre, where different is the norm. When any differences are brought up, they manage to be quickly resolved or changed in the minds of the teenagers for the benefit of survival. I was really interested in the virus itself and I got a little bit of information on it through Brian's mom, who was on the first response team. I did want to find out if there was a cure and how it began. The book really just focused on the outbreak itself and how this small group of highschoolers was able to survive. There were some very awesome moments of zombie smackdowns and creative weaponry, but there was no resolve after the teens were rescued from the school. Aiden LeDoux would just like to be a normal kid, someone who flies under the radar. However, that is unlikely after his father is literally crucified by the son of a man who he has wronged. One night while at his father's bar, Aiden feels overwhelmed and uncomfortable. In his anxiety a bright light bursts from his face, illuminating the entire bar. To add to that, anyone who was bathed in the light is now healed of any physical malady, from a scratch or scar to cancer. Of course the miraculous event spreads like wildfire, and the small town becomes ignited by zealotry by Aiden's miracle. Aiden is now being held hostage by those who will do anything to have him perform the miracle again. This book threw me for a loop; simultaneously diving right into the action and setting the scene, I was thrown into a small town bar that Aiden's father, Jack owns. Immediately, I had a feel for many of the characters and the varied dynamics between them. Then, everything changes. I was amazed at how quickly the town turned. However, some people remained the same. Aiden really becomes a side character and the focus turns on how the town reacts to him. The horror was not in Aiden's incident, but the quick turnaround to chaos, panic and illogical thinking that takes over an overwhelming amount of people. Pine, the brother responsible for Jack's injury was easily the most terrifying character and could probably have an entire book written about his antics. There were a few plot holes for me, especially the absence of any law enforcement until the end. 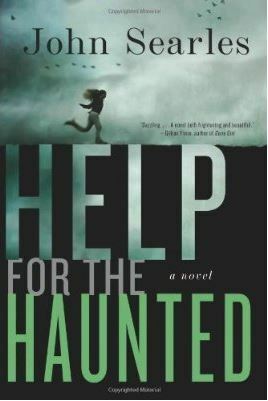 Overall, a well crafted book that looks into the dynamics of small town incidents with well placed elements of horror and psychological thriller. Mac McClellan is a war veteran and practicing Private Investigator. He has recently been dragged along to do some investigating with the Palmetto Paranormal Society with his girlfriend Kate. 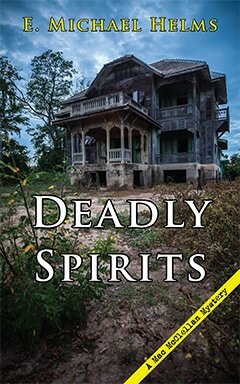 When two subsequent paranormal investigations end with the mysterious death of two investigators, Mac knows something is up; these are more than unfortunate accidents. After he is officially hired to investigate one of the deaths, Mac begins to notice several things that aren't sitting right in town: a previous insurance fraud case that is continuously being harassed, generous donations to a local college from people who do not have the money to give, a separate PI that is tailing him, a ghostly recording that has gone missing, several more near-deaths and a woman in the Paranormal Society who isn't who she says she is. Now, it's up to Mac to piece the clues together before more people die and to decide whether the forces at play are of the normal or paranormal variety. This book immediately starts with action and really does not stop until the end. After reading the first few pages, I realized that this book was part of a series, however; I was filled in pretty quickly and I didn't feel like I really needed the rest of the books in order to understand everything. It might have been helpful to understand a little more about Mac's history, but that's about it. I was really impressed with the layers of mystery and was wondering to the end about how they all fit together. I also really enjoyed the incorporation of the paranormal; the investigative techniques were really interesting and Mac's skepticism provided a nice contrast. Mac's character was intriguing as well, at first he seemed very typical and one dimensional, but as the story progressed, I learned more of his true character and really enjoyed his interaction with people and especially his dog. Overall, this seems like a great mystery series and I would love to read more of Mac! Chris and his wife have separated, he is trying to comes to terms with living alone when she dies in a freak accident. Chris decides to visit the English countryside that his wife enjoyed in order to grieve and move on. His destination is motivated partly by the remoteness of a village that is barely on the map and a tabloid article he picked up about an out of service post box that supposedly sends messages to the dead. Chris arrives in town and begins to have strange dreams, when he meets the villagers and begins to investigate the mailbox, he is warned off. When a villagers mails a letter to a deceased relative and someone dies, he is intrigued. And when Chris begins hallucinating, he decides to leave. However, the pull of the mysterious box is too much for him to handle. 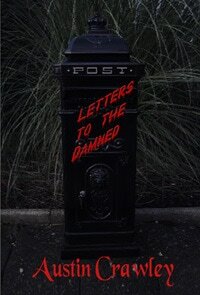 The concept of a post box that could communicate with the dead really pulled me in. The setting of an out of the way village with only adults as residents set a creepy tone and Chris as a curious but wary visitor rounded out the story. Chris's character was very interesting; although he and his wife were separated, it is very clear that he was very much in love with her and his willingness to test out the mailbox proved that even more. I enjoyed that he was of Mexican heritage, but it was mentioned a little too often and didn't serve much purpose plotwise. Chris was also interesting in that he tried to do the smart thing and just leave the post box behind. This was a shorter book, and did well pace wise. However, I would have loved to expand a little more on some of the characters within the village and the lore behind the box. For example, one of the villagers tells Chris that he is experiencing a Puca, but nothing more is explained. Overall, a quick, creepy read with an atypical outcome for the horror genre. 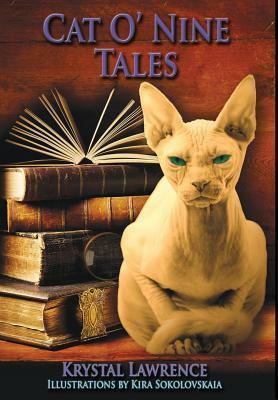 Cat O' Nine Tales is a collection of nine (plus one bonus!) stories in the horror, thriller and suspense genres. The stories cover a wide array of topics in the horror genre. From blood and gore, planning the perfect murder, the supernatural and animal attacks, you will find it in here. Each story was short enough that I could read in one sitting, but absorbing enough that I felt connected while reading. Some of my favorite stories were those where humans had a deep connection to animals. As the Crow Flies, Let Sleeping Cats Lie and The Dogs of Riverview Estates all used animals as a protector of those that treated them well, but something much different to those that threatened the people they trusted. These stories all had a eerie and gory feeling, but as someone who loves and protects animals, they were also reassuring. Another story that captured me was The Eternal Sheriff. I have always loved the idea that a book could come alive; but for Grant Hudson, author of the Sidewinder series, that is truly a nightmare. After a good run, he needs to kill of his sheriff character, only the sheriff refuses to be killed. This story, while keeping an apprehensive atmosphere, also showed a bit of humor as the characters played with their creator. I would have loved to see this story as a longer version. Overall, a good set of horror novels that will appease a wide variety of tastes. With all short story collections, I like some better than others. Some of the stories were very predictable for me, however the characterization was done well.